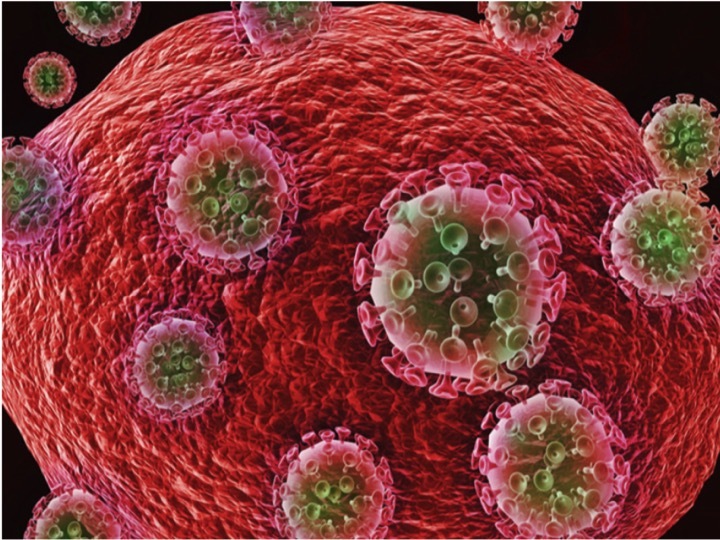 Enlarge / Artist’s conception of HIV attached to a cell. The identification of HIV ultimately led to the development of therapies that specifically target the virus’ ability to make new copies of itself. These therapies have radically altered the lives of infected people, turning a often-lethal virus into something that can be managed for decades. But while the treatments control the virus, they don’t eliminate it. Infected people still have reservoirs of virus in their bodies, raising the prospect that a drug-resistant strain could ultimately evolve. There’s only a single known case of the virus being eliminated entirely. That patient had a leukemia that could be treated with a blood stem-cell transplant, and his transplant team used cells that carried a mutation that eliminates one of the proteins that HIV uses to attach to cells. Today, researchers are reporting the second instance in which the transplantation of stem cells carrying this mutation has seemingly eliminated a viral infection. Two cases means the time has come to start looking for features in common between the two treatments. One of the reasons HIV is so difficult to eliminate is that the virus’ normal lifecycle includes integrating a copy into the host cell’s DNA. Thus, even if all the circulating virus is eliminated, infected cells can just produce more. To eliminate the virus, you’d have to kill every single infected cell in a person’s body. A variety of “reservoirs” of HIV-infected cells has been identified; all of the significant ones appear to be in immune cells of one type or another. This is why blood stem cells (also called hematopoietic stem cells or bone marrow cells) are so significant. Many populations of blood and immune cells are replaced regularly. If the replacement cells can’t be infected by HIV, then this raises the prospect that the reservoirs of HIV-infected cells will gradually turn over and take the virus with them. And we’ve already identified individuals with cells that can’t be infected by HIV (they have a mutation that damages or eliminates a protein that HIV uses to attach to cells), who can act as a source of HIV-resistant cells. But for this to work, you have to eliminate a person’s own blood stem cells and replace them. That’s considered high risk, as the elimination process involves high levels of radiation or toxic chemicals. The transplanted stem cells can also produce immune cells that go on to attack their new host. This is a problem called graft vs. host disease. Because of these risks, stem-cell transplants haven’t been considered a treatment option for HIV patients. But they are sometimes used for treating specific cancers that affect blood or immune cells, especially if chemotherapy has failed. And that’s exactly what happened in the earlier case. A patient with lymphoma had his blood stem cells eliminated using radiation, then they received stem cells from someone with the appropriate mutation. After discontinuing retroviral therapy, tests have been unable to find any sign of the virus in the patient. These circumstances are closely paralleled by the newly reported patient. In this case, the patient had an HIV infection for nearly a decade that was being kept in check with antiviral therapies that were tailored to his virus’ genotype. While the virus was under control, he was diagnosed with Hodgkin’s lymphoma. Attempts to treat the cancer with a variety of chemotherapies failed, at which point his doctors started considering stem-cell transplants. But the doctors were unable to obtain enough stem cells from the patient himself. While a combination of chemotherapies put the cancer into remission, the doctors had, by this point, identified an unrelated individual who was a good match for the patient and carried mutations that can block HIV infection. Rather than do whole-body radiation to kill the patient’s existing immune cells, the patient was given chemotherapy and drugs that specifically targeted his immune cells prior to the transplant. A bit over two months after the transplant, the patient showed signs that his new immune system was attacking his own cells. The problems cleared up without intervention, though, and the patient was left with immune cells that lacked the protein used by HIV. About a year and a half after the transplant, with no indications of an active infection, antiviral therapies were stopped. A year and a half have passed since then, and there’s still no sign of HIV, despite tests having screened an estimated 24 million individual T cells. Combined with past cases (one successful and one failed), we can now say something about what needs to be done to get rid of the virus. To begin with, some existing variants of HIV can bind to a protein that’s closely related to the one mutated in the sources of successful transplant cells. In one case, these variants maintained the infection after a stem cell transplant. The new patient had none of this HIV variant, which probably contributed to the success of this treatment. So, pre-screening the HIV population would appear to be critical to identifying the patients that this can help. The new patient also tells us that we don’t necessarily have to be particularly aggressive when wiping out a person’s immune system prior to the transplant. Whole-body radiation obviously creates risks for future cancers, whereas chemotherapies can be chosen that limit this risk. Knowing that radiation is not required could make future transplants somewhat safer. As noted above, the immune system derived from the transplanted cells appears to have started to attack its new host. This also occurred in the earlier successful treatment, and the research team behind the new results think it may be critical to success. This transient immune response may help kill off the last surviving cells of the host’s immune system—possibly specifically those carrying HIV. So it may be less a bug than a feature of this treatment. That risk is one reason why a stem-cell transplant is never going to be a first-option treatment for HIV. The additional risks of aggressive chemotherapy and possible periods of immune dysfunction also point toward the lower-risk anti-retroviral drugs being a better and cheaper option. But there will always end up being patients with HIV who end up needing a stem-cell transplant for unrelated reasons. At that point, they’ll be subject to these risks regardless. Thanks to patients like this, we may have a better sense of how to ensure the benefits of the transplant include the elimination of HIV.